That’s right. King Arthur’s name is now Art, and he is a graffiti artist whose ex-girlfriend is named Gwen. There is really no way to describe just how absurd the idea of a contemporary reimagining of King Arthur sounds. But maybe that is the goal. I can only imagine how Dan Frey and Russell Sommer will tell the love affair with Gwen and Lance. But Camelot isn’t the only show that contemporizes these classic tales by setting them in modern times. It’s worked well so far for Once Upon A Time and Grimm, so why not minimize the idea of fairy tale stories set in modern times to just one character while also keeping the themes of medieval magic. Sleepy Hollow has no problem weaving in magic and mystery, although the series hasn’t had the same magic since its first season. We’ll just have to see if Camelot can avoid making those same mistakes. The Jackal Group’s Gail Berman and Joe Earley will develop the show with Fox. The show will be in a competitive situation with a script plus penalty commitment, meaning that it might not even see the light of day. How much you want to bet that Arthur’s fellow knights (I mean everyday people) will come from different boroughs and districts. Maybe it will mirror how Marvel and Netflix worked in the different New York City neighborhoods for Daredevil, Jessica Jones, Luke Cage, and Iron Fist. 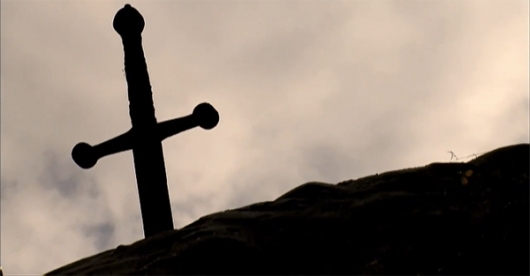 A lot of speculation coming in very early since the project was announced, but feel free to tell us how you think Merlin or Excalibur will be worked into Camelot.